The history of the cellar covers two generations. 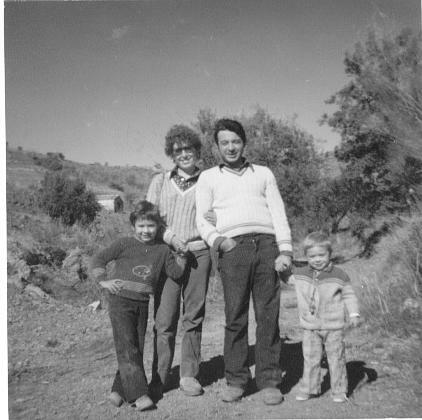 Rafael Bordalás Martinez and Encarnacion Sanchez Garcia , in 1969-70 years, began to recover abandoned vineyards and planting and grafting of the best vinyard of people, many of those today already lost, Garnacha and Cariñena centenarians. The grapes was made in the cooperative village and the wine produced was sold in "Bocois" (wooden cask of 500-1000L) in bulk, to members and all the people who already then, appreciated a good drink of good wine. There were other times, missing only the illusion for recover lost time by the coming of phylloxera, as the Priorat has always been (and the Romans after the Carthusian monks of the first founded monastery on the peninsula, Scala Dei) had that illusion and transmitted it appreciated around the world where the good wine from Priorat.